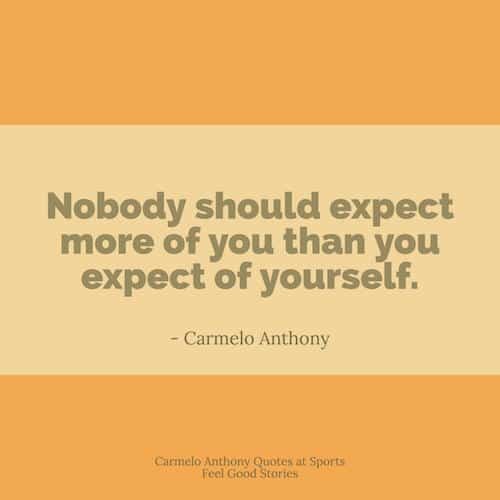 You’re on Carmelo Anthony Quotes – Page 2 of 25 of Basketball Quotes. I understand the NBA and the role I play on my team. I know that I have to play a leadership role and do whatever I have to do to win. Man, I think the sky is the limit for this team. I think everybody has their own unique style. Every year it’s been people saying I can’t do this or I can’t do that. Y’all will see something different, I can tell you that. Leadership is something I was born with. I got an owner that looks out for me. You can’t beat that. We’re still getting better as a team. We’re still learning how to play basketball as a team and how to win tough games. To go out there and play and have fun and hopefully win a championship. That’s my goal. I don’t put pressure on myself. When I put pressure on myself, then I just play bad. When I play bad, my team plays bad. You’ve got to have fun on the court. If you ain’t having fun, then basketball ain’t fun. I smile all the time, even when I’m in a bad mood. I always try to keep a smile on my face. As a good player in the inner city, you’re always hearing people saying that you’re better than you really are and that you don’t have to do things like everybody else. Learn about Carmelo Anthony’s Foundation. I know there’s a lot of pressure, but I’m just going to go out and play my game. I understand the NBA and the role I play on my team – I know that I have to play a leadership role and do whatever I have to do to win. I don’t think there could ever be more pressure to succeed than the pressure I place on myself. It’s easier for me to let the game just come to me. I’m laid back, I take my time, get the job done. Lebron is high flying, dunking, passing the ball well. He’s getting the job done, too. But we’re different. I think I’ll always want to improve my defense. That’s something that can always be better. Not saying it’s bad now, just something you should always work on. I say ‘come with it.’ I’m not expecting anything easy. You have to earn your place. That’s fine with me. Play hard, learn as much as I can and do what I do best. The rest will take care of itself I think. Know any other great Carmelo Anthony quotes? Let us know on the Contact page. Thanks. 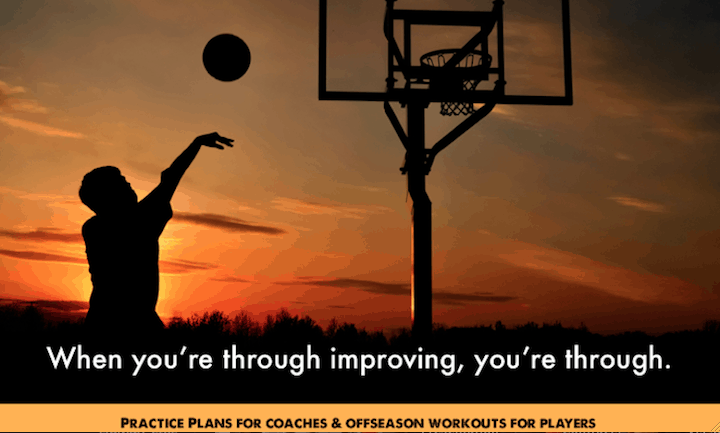 You’re on Carmelo Anthony Quotes, Page 2 of 25 of Basketball Quotes.